Gertrude Stein used to say: “A rose is a rose is a rose”. Namely, any thing can only be what it is. However, she also meant that we tend to confer personal and universal emotions to a specific name. A design object stands out for aesthetic, shape and colour, as well as for manageability and functionality. Yet, only a chair has the power to literally disappear from our sight as we are using it, and if we forget about it while sitting, then it means it is very comfortable; it welcomes the weight of our body and allows us to rest, to work or to sit at a table for a long time. Indeed, it fully fulfils our expectations about sitting. At home, in a café, at the office, we sit everywhere. The act of sitting is even more frequent than eating or drinking. We sit tens of times a day without even noticing this automatic yet fundamental action. In fact, only an uncomfortable seat can be felt and noticed as soon as we sit down on it. 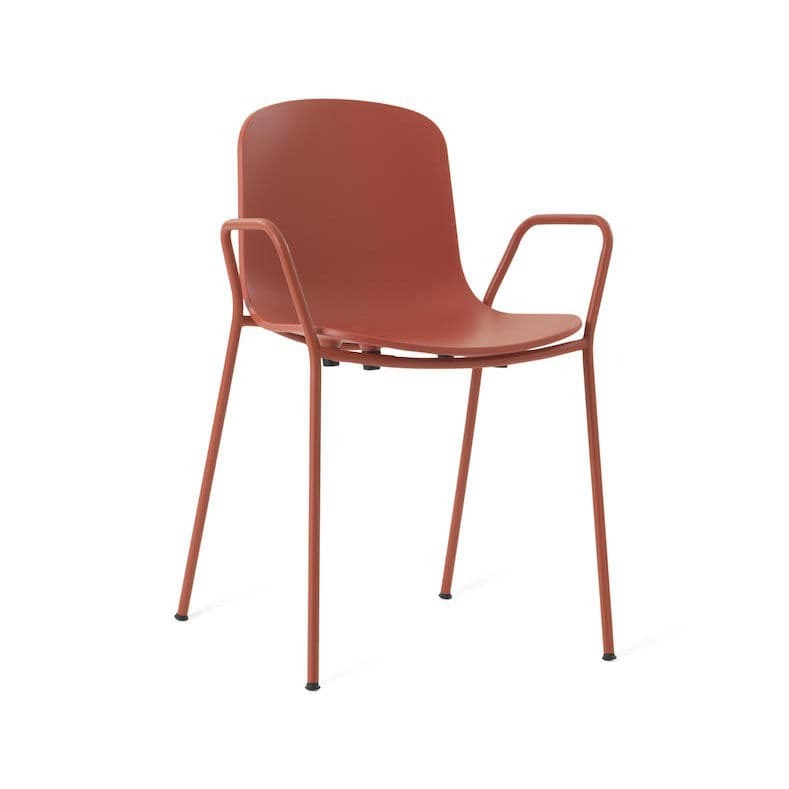 Holi is a chair that will embrace your body at the right height, allowing to comfortably relax your back while maintaining slim, non-encumbering proportions. 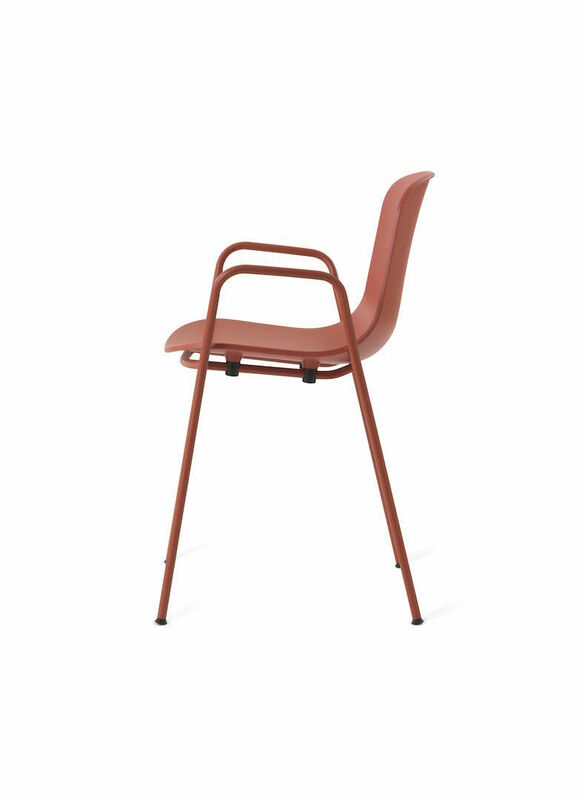 The collection offers a wide range of sitting solutions, with or without armrests, and two different heights for the stools, which are all stackable. 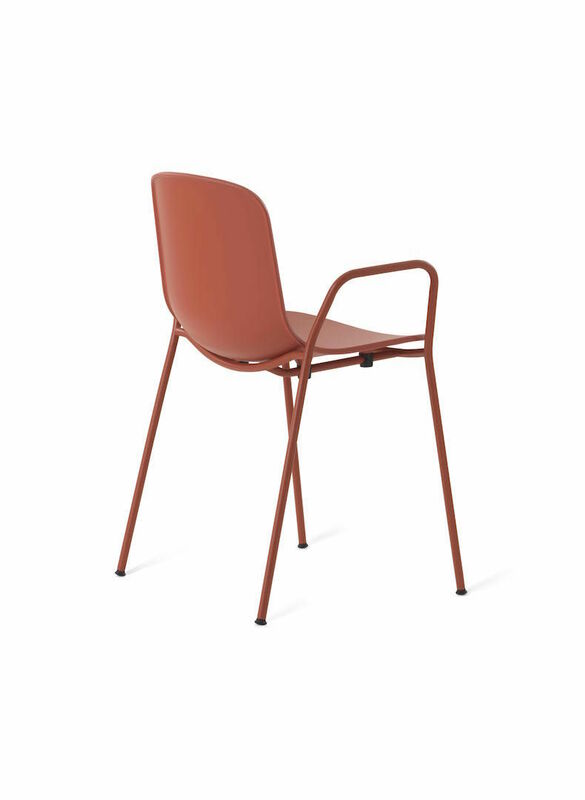 Holi was designed with either a closed or a perforated backrest, creating an ideal stylistic continuum between indoor and outdoor furniture in order to satisfy any living-space requirement. 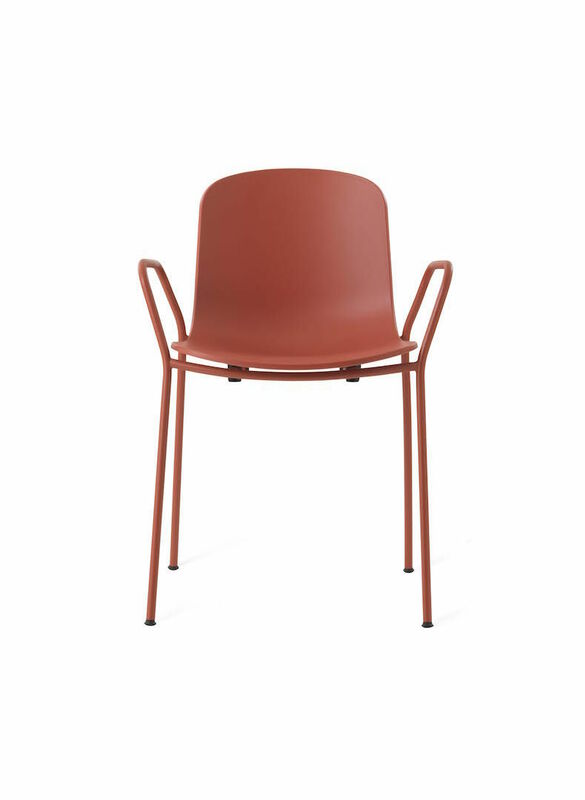 The metallic structure is painted in the exact same shade as the polypropylene shell, giving the impression of a monoblock element. 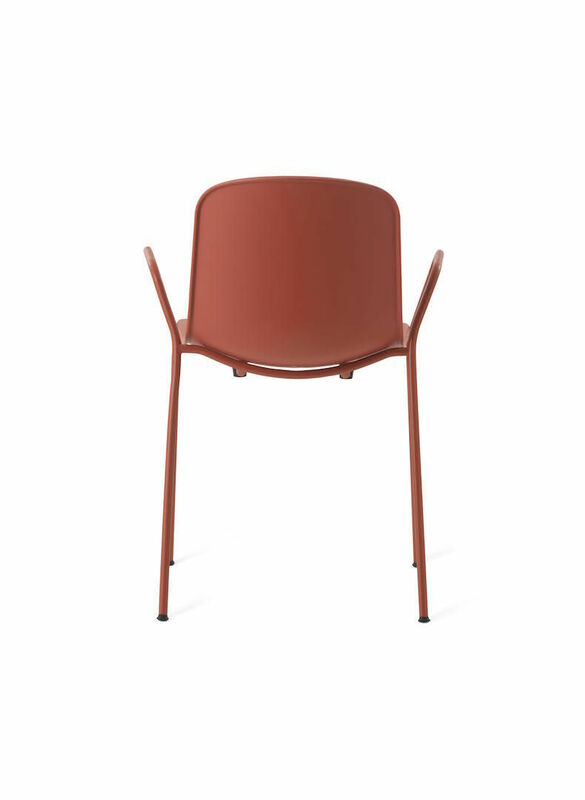 Available in white, black, red terracotta and olive gray.